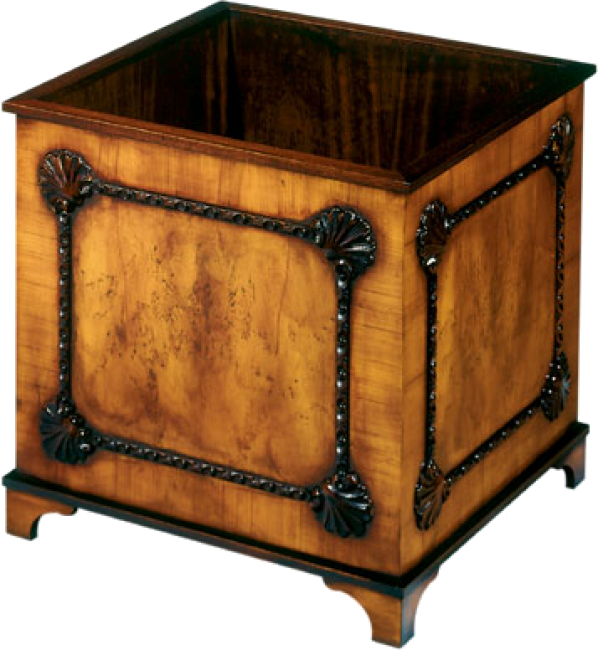 Regency style planter with hand carved shell and applied moulding. Bracket feet. Metal liner. Pictured in Yewwood.